5- Nothing can be removed during the Auction. Check-Out times are Monday, November 5, 2018, Tuesday, November 6, 2018 and Wednesday, November 7, 2018 (8:00a.m. to 4:00p.m. by appointment). Final removal required by Wednesday, November 7, 2018 at 4:00 p.m., any purchases not removed by this date and time will accrue a minimum storage charge of $50 per lot per day. Total responsibility for removal of purchases is that of the Purchaser, financially and physically. The Auctioneer cannot be responsible or liable for any moving, on or off-site. Purchasers must supply their own equipment, boxes and labor as applicable for removal. Please contact a local shipping company (i.e. The UPS Store, etc.) for shipping. Shipping of smaller items may be available for online buyers, call Stampler directly for details. 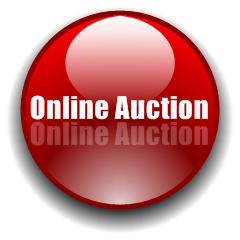 On-site bidding in Princeton (Miami), Florida (Cash / Cashier’s Check / Wire Transfer ONLY) – 15% Buyer’s Premium. All bidders must pre-register to bid at proxibid.com. Stampler Auctions highly recommends registering no later than Thursday, November 1, 2018. Bidders must fill out a credit card authorization form (available at Stampler Auctions website) in order to be approved for bidding. Minimum authorization amount is $500. Bidding will be limited to four times your authorization amount. Purchases will NOT be automatically charged to the credit card. CREDIT CARD AUTHORIZATIONS ARE ONLY UTILIZED TO VALIDATE BIDDER REGISTRATION. Payment for purchase(s) is due within two business days (November 6, 2018) at noon by cash, cashier’s check or wire transfer. Should payment not be received by the deadline, Stampler Auctions will process the card authorized up to the total amount of the purchase or the authorization. Buyer is still subject to all terms and conditions of the auction.